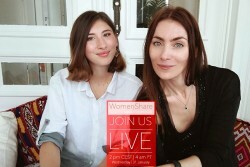 Retrouvez cet article en français sur le site de Mode in Belgium ! 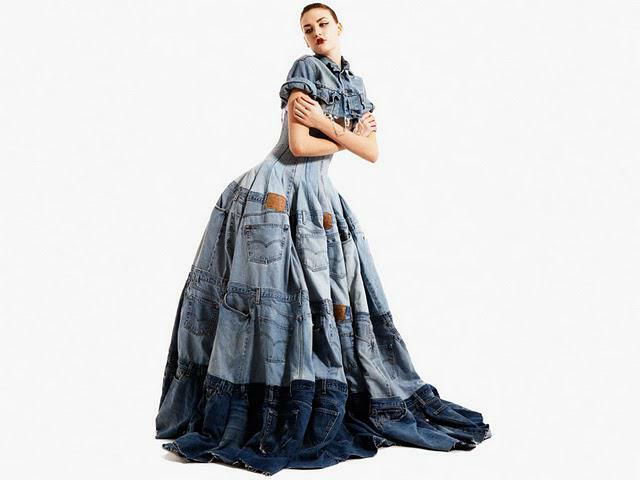 Last Wednesday, we talked about the history of denim and its origins. Welcome today in the second part of this article: I’ll present the jeans in all its glory! 1 The patch: leather label. Practical information : you must take off the patch before wearing your jeans, although a few people are aware of it if they do not remove it amounts to wear a garment with the apparent label on it. 2 The copper rivets: set up at the pockets to solidify the seams. 3 The ticket pocket: serve to place a ticket or currency. 4 Back pockets: Beware technical subtlety: a good quality jeans will be provided with seams in an optical effect to sublimate the curve of the buttocks. Noted that otherwise your bottom will look flat. 5 Rising: triangular portion of the back. 6 Stitching on the leg and belt: Good to know: the more you find different thread colors in the jeans, the more quality you receive. 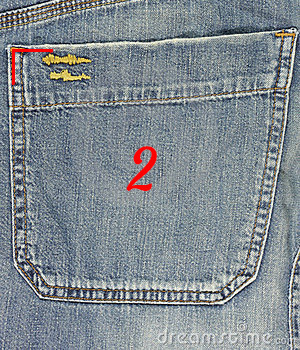 8 The closure of jeans: with a zip or buttons. Bleach: discoloration made with the bleach. Washout “seal” to create a line Washed in a specific location. A metal plate is placed with the holes that will create the drawing. This technique allows keeping the same design on a production. Double stone wash: jeans happened in a machine with a pumice stone twice. Ready-to-dye: assembling the pants made of unbleached linen and dye at 90 ° C.
Rince: watch out for the disgorging colors with indigo jeans in the washing machine. Resined: coating the jeans with a resin that will fix the pigment on it. Sand Wash: Pumicing the jeans with sand. few things to know before your next purchase! ✄ The more treatments the jeans will have the more it will be expensive. 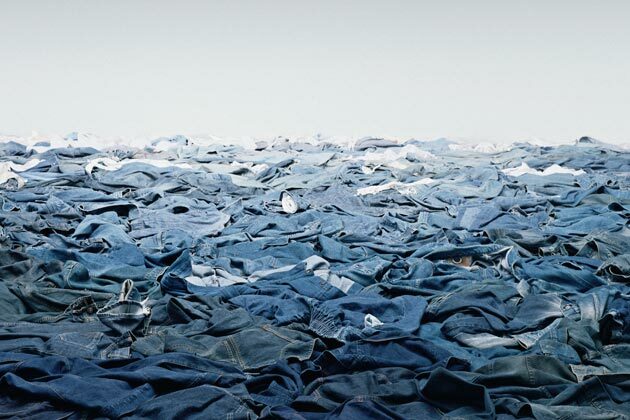 ✄ Jeans “ready-to-dye” are of lesser quality, they tend to disgorge during the first washes and often dyes are toxic for the skin. It can give you buttons in the friction areas (generally on thighs). How do we recognize them? Look the inside pockets and labels, if they are slightly colored: bingo is an R.T.D! Often there is only one color of yarn used, since the wire is white, it will take the color of the dyed jeans. ✄ Check that the back pockets are provided with an optical illusion. There are two schools for this: as you see in the picture 1 the pocket seams are narrow towards the inside. 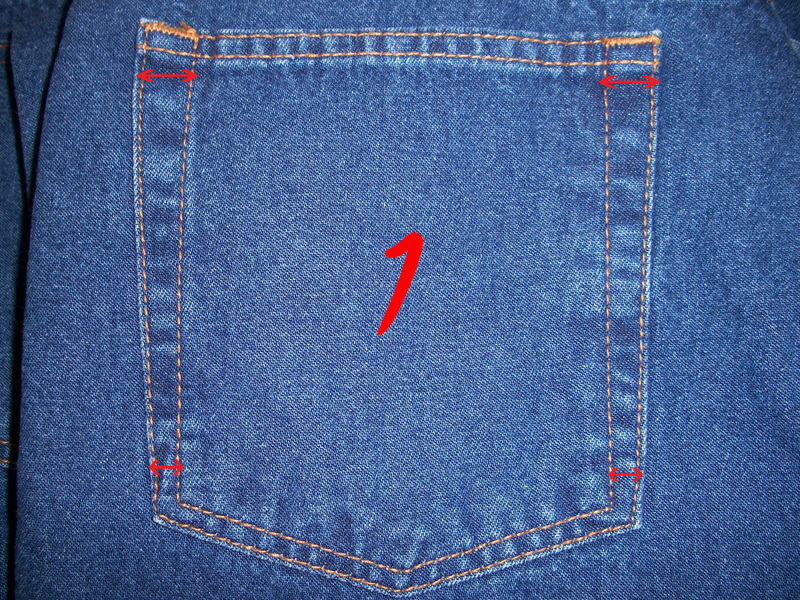 Image 2: the pocket is not symmetrical, one side is a right angle and the other not. If the jeans you have in your hands do not fit in any of this two options, drop the risk of having the flat buttocks! ✄ Count the yarn colors, in fact, the more different colors you find the more it will be undergoing manufacturing steps and the more it will be solid. From 3 colors of yarn, it starts to get good. ✄ If you are a lover of jeans, ask to test the range “self-edge”, this type of high-end jeans is Japanese, it is made on old looms and cut with the sub-arm along * at the edge* of the fabric. The interest of this cut is to have a leg which is more curved and therefore more comfortable! You should know that in general, these are jeans with a longer leg length than the average because they are made to be rolled up at the bottom. Why? The hallmark of self-edge is represented by a red stripe along the seam of the leg, so it appears when have rolled up your jeans. And now you’re a jeans pro, unbeatable on its history and manufacturing processes! Next appointment next week for the rest of this special denim saga! * The Sub-arm area is under the arm: therefore the side of the jeans that are in the axis. 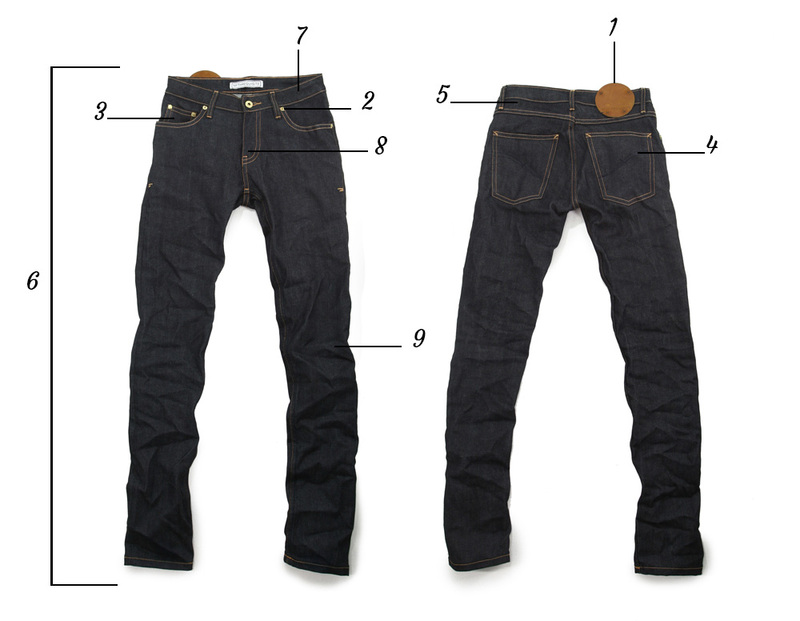 * Edge: denim is composed of son stained chain and son unbleached frame, together they form the armor of the fabric. The edge forming the end of the tissue located in parallel to the warp son.